Metal Machinebuilders own engineering takes care of the transformation of creative ideas into realistic and workable designs and calculations for machines and parts. The latest and most advanced 3D CAD systems are used. More important factor is the devoted team of engineers that make the client’s problem their own, and they won’t rest until they’ve come up with a solution. Their responsibility does not stop here. They are continuously cooperating with the assembly team in the factory and the client to provide optimal fine-tuning of theoretical possibilities with practical applications. 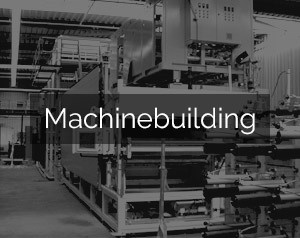 The machine building division is dedicated to the production of special machines. Nearly every project Metal works on, is unique. If necessary, we can build more machines of the same type, but let it be known we’re not a factory. Metal’s power lies in solving the problems our clients have in their production process. We invest a lot of time in analyzing the problem. Then we come up with a creative solution, in close cooperation with our client. The solutions are subject to critical tests. We construct the design in-house and test it thoroughly, if neccessary we will fine-tune the machine. When testing and fine-tuning are successful, we install the machine at the client’s factory. METAL’s clients depend on their machines for the production. Machines that are not working cause a lost of production capacity instantly. 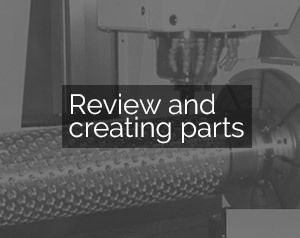 Quick response and flexibility are trademarks of the review and parts division. Due to quick repairs and, when possible, the instant installation of a temporary solution we reduce loss of time to an absolute minimum. Reviewing existing machines may lead to a second live, but also to a more efficient production method. The division also earned a name as producer of high quality parts, for one time of small series from drawing or model.